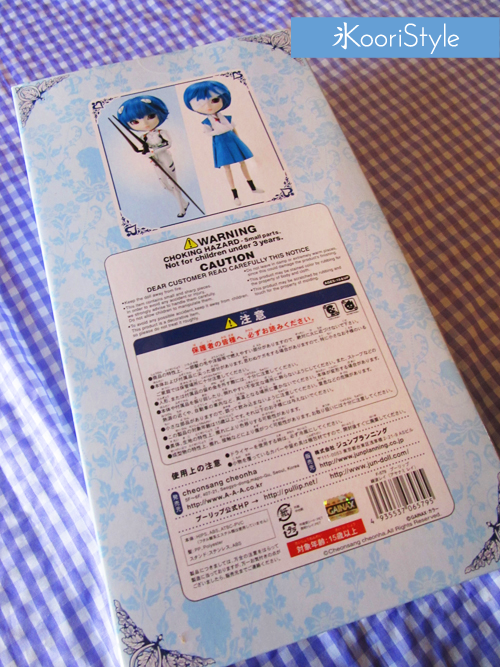 First I'll show you the pictures of the unboxing procedure and then the review of the doll. Let's begin! 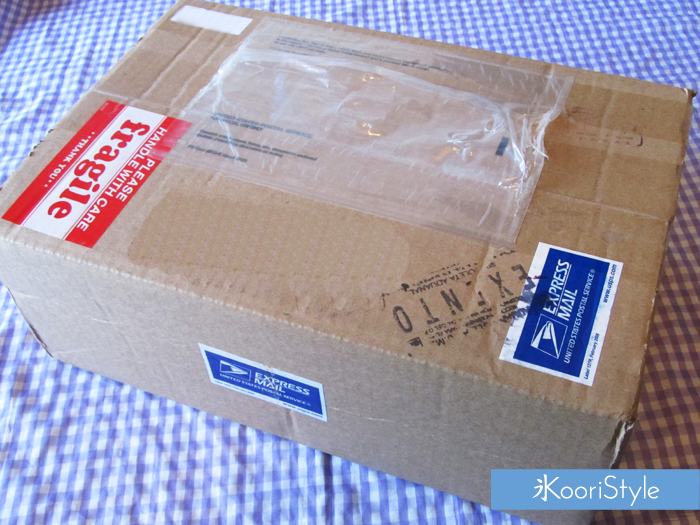 The box was perfectly wrapped and the doll arrived safely home! 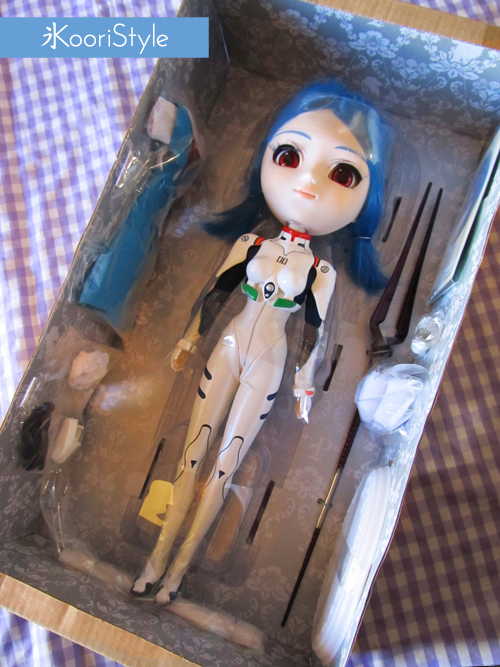 (By the way, soon I'll make a review of the store where I got this Pullip and the ones that are on its way to join my little Rei Here's the shop review). Even the box design is very pretty! At the back of it we can see this cool Gainax hologram. I was pretty excited at the moment I had the box in my hands ♥. Once we get the inner box out, we can see all the items that come with the doll. 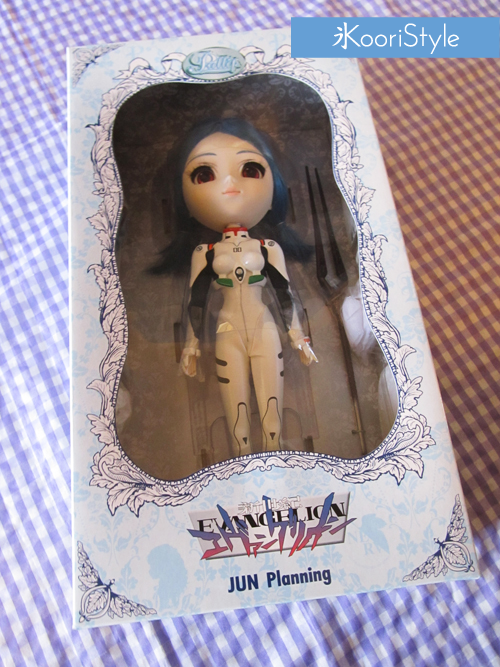 Since I didn't want to damage the original box I untied the doll and accessories carefully. 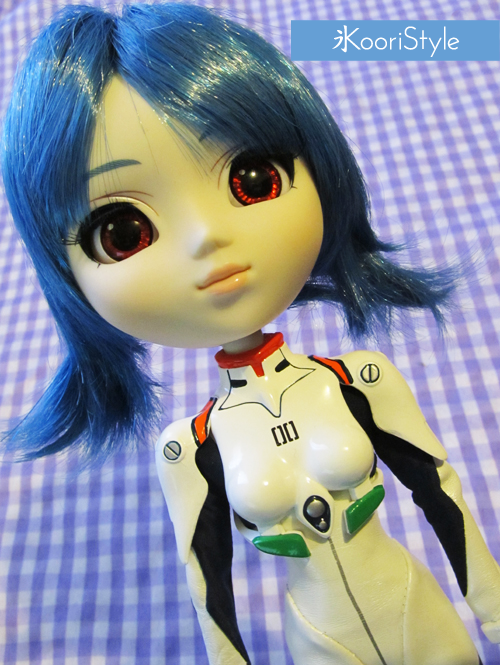 When we get the doll out of the box it comes with a 'weird' hair style but, when we remove the plastic wrap we only need to comb each section inwards and the fringes down to give it the unique Rei's hairstyle. Since this is my first Pullip I have no comparison point but I loved her hair; it's easy to comb and the color is pretty and bright. 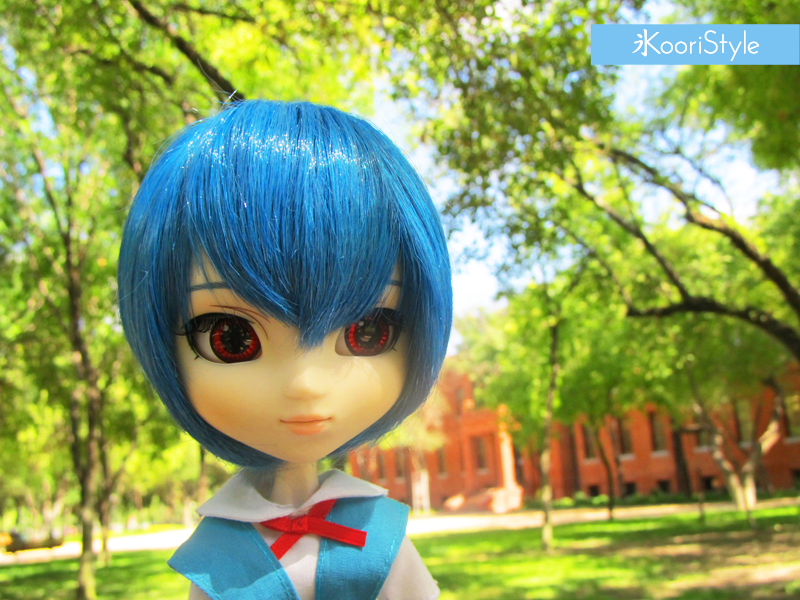 This Pullip has a type 3 body, and the eye mechanism that allows the eyes to stay closed and move side to side. The color of her eyes is amazing; it even sparks at the sunlight. A very bright red color. 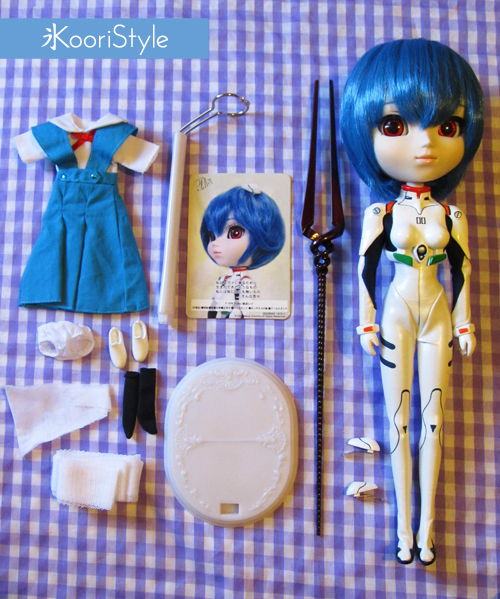 Overall Ayanami Rei is a great Pullip doll which I recommend to buy if you like Pullip dolls, and I recommend it even more if you are a fan of Evangelion! I don’t regret buying this doll at all ♥. Do you like Pullip dolls or any kind of BJD (ball jointed doll)? Do you collect something? Leave a comment bellow and I’ll see you soon! La caja estaba muy bien protegida y la muñeca llegó sana y salva a casa! (Por cierto, pronto voy a hacer la reseña de la tienda donde conseguí esta Pullip y las que están en camino a unirse a mi pequeña Rei). El diseño de la caja es muy lindo! Incluso en la parte de atrás podemos ver el holograma de Gainax! Una vez que samas la caja interior podemos ver todos los artículos que vienen con la muñeca. Cuando sacamos la muñeca de la caja esta viene con un peinado ‘raro’, pero cuando quitamos los plásticos protectores sólo tenemos que peinar cada sección hacia el interior y el fleco para darle el peinado único de Rei. Como esta es mi primer Pullip no tengo punto de comparación pero me encantó su pelo; es fácil de peinar y el color es muy bonito y brillante. Esta Pullip tiene un cuerpo tipo 3 y el mecanismo de sus ojos le permite que estos permanezcan cerrados y se muevan de lado a lado. El color es increíble; incluso brillan más en la luz de sol, es un color rojo muy brillante. 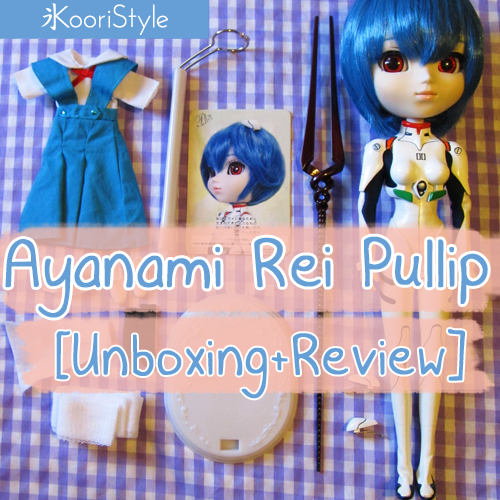 En resumen Rei Ayanami es una Pullip muy buena la cual recomiendo comprar si les gustan las muñecas Pullip, y lo recomiendo aún más si son fans de Evangelion! No me arrepiento en lo absoluto de haber comprado esta muñeca ♥! 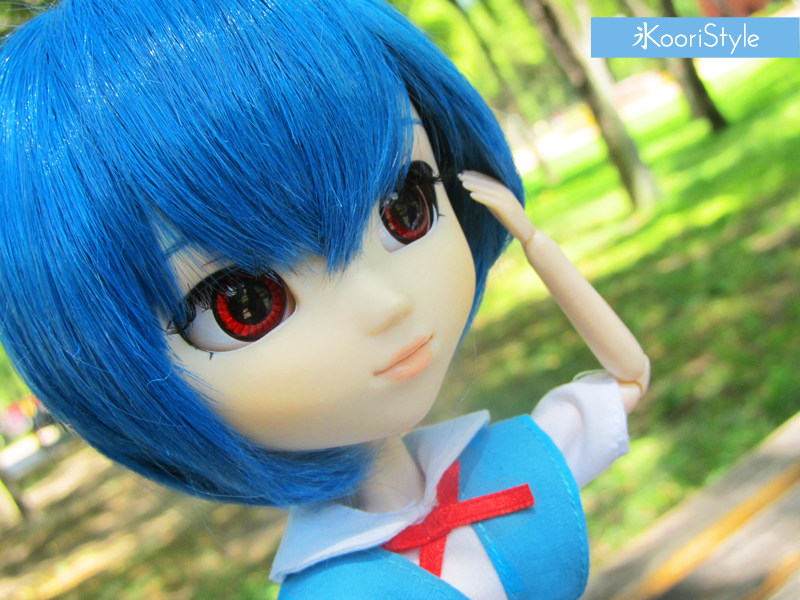 ¿Les gustan las muñecas Pullip o cualquier tipo de BJD (Ball Jointed Doll)? ¿Coleccionan algo? Dejen su comentario abajo y nos vemos pronto!